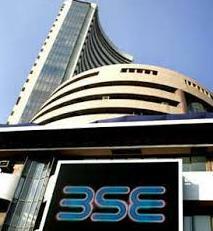 A benchmark index of Indian equities markets, the 30-scrip BSE Sensex, closed Friday’s trade flat. The wider 50-scrip Nifty of the National Stock Exchange (NSE) also closed the day’s trade flat. It was down 0.75 points or 0.01 percent at 8,341.40 points. The S&P BSE Sensex, which opened at 27,649.78 points, closed the day’s trade at 27,458.64 points, up 1.06 points from the previous day’s close at 27,457.58 points. The BSE Sensex touched a high of 27,694.41 points and a low of 27,248.45 points in the intra-day trade. Healthy buying was observed in capital goods, banks, automobile, information technology (IT), consumer durables and metal sector. However, oil and gas, healthcare, fast moving consumer goods (FMCG), technology, entertainment and media (TECK) and realty sectors came under heavy selling pressure. The S&P BSE capital goods index increased 220.14 points, banks index rose 219.43 points, automobile index augmented by 80.42 points, IT index was higher by 58.64 points, consumer durables index gained 44.15 points and metal index was up 10.39 points. However, the S&P BSE oil and gas index declined by 142.87 points, healthcare index decreased by 131.60 points, FMCG index was lower by 79.80 points, TECK index lost 19.42 points and realty index slipped 11.49 points. Friday was the eighth consecutive session when the markets either ended flat or in the red. Thursday was the seventh consecutive session of losses for the markets. The BSE Sensex had closed Wednesday’s trade down 50 points. On Tuesday, it slipped by 30 points. On March 23, the market closed down 69 points. In the previous week, the Sensex closed Friday’s trade 208.59 points down. On March 19, it declined by 152.45 points and on March 18 it closed the day’s trade down 114 points. Charting Friday’s trade, an analyst said that after opening in the green, markets slipped into negative territory on the back of profit booking. But in the closing session, pared some of its losses on the bargain buying. “We believe that India is in the later half of the consolidation since Nifty is at 9,100 points level. Global concerns in the middle east has added flare to the consolidation,” said Vinod Nair, head – Fundamental Research, Geojit BNP Paribas Financial Services. According to Nair, after the steep correction on the expiry day, banks and IT have recovered on short covering. “With lower expectation on fourth quarter earnings and negative return of -7 percent in March, April is likely to see a volatile start,” Nair added. The major Sensex gainers on Friday were: Hindalco, up 2.97 percent at Rs.133.55; Infosys, up 2.68 percent at Rs.2,201.95; State Bank of India (SBI), up 2.59 percent at Rs.263.55; Larsen and Toubro (L&T), up 2.50 percent at Rs.1,676.85; and ICICI Bank, up 2.23 percent at Rs.314.40. The losers were: Bharti Airtel, down 5.64 percent at Rs.376.20; Wipro, down 3.45 percent at Rs.612; Reliance Industries, down 2.27 percent at Rs.811.75; Mahindra and Mahindra, down 1.72 percent at Rs.1,182.60; and ITC, down 1.72 percent at Rs.317.10. Among the Asian markets, Japan’s Nikkei went down by 0.95 percent and Hong Kong’s Hang Seng closed marginally lower by 0.04 percent. However, China’s Shanghai Composite Index gained 0.27 percent.